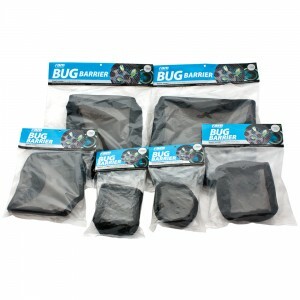 The RAM Bug Barrier is a fine mesh screen for intake fans to prevent insects in your growroom. This screen comes with Velcro strips for you to attach to your intake fan to allow for easy adjustment – creating the perfect fit! The RAM Bug Barrier fits over your fan and the ducting can then be out over the RAM Bug Barrier.